This small-group tour of Montreal is limited to just 14 guests and features luxury vehicles, exceptional tour guides and one driver and one tour guide in every vehicle ensuring an intimate, immersive experience. 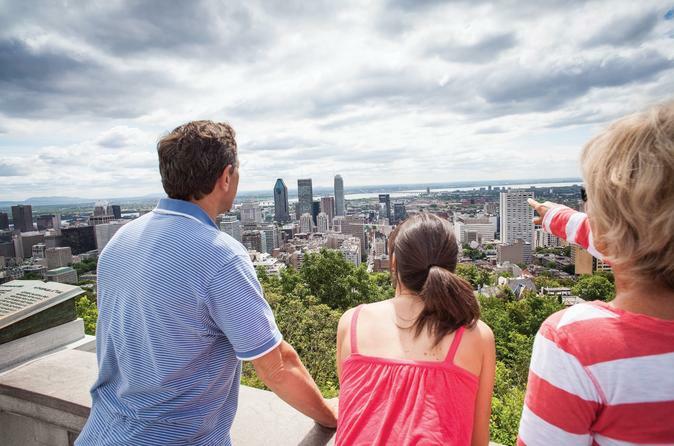 Visit Old Montreal, downtown Montreal, Mount-Royal and several of Montreal's most unique neighborhoods. An experience unlike any other, on a tour unlike any other. Start your day with pick you up from your downtown/Old Montreal hotel or residence in a luxury vehicle. Get ready to see Montreal through the eyes of a local on this superb small group tour of Montreal. In Old Montreal, you'll explore Bonsecours Market, Rue-Saint Paul, the Old Port, Place Jacques-Cartier and the inside of the Notre-Dame Basilica of Montreal. In downtown Montreal, marvel at the soaring skyscrapers and heritage buildings that intermingle with quaint boutiques. You'll also explore the underground pedestrian network that links boutiques, hotels, restaurants, office buildings and city attractions with 32 kilometers of passageways used by more than 500,000 people daily. Next, travel to Saint Joseph's Oratory for a photo stop and then to Mount-Royal which rises up in the middle of the city. You'll also stop at the Kondiaronk Lookout for a superb view of the entire city. In Westmount, see the spectacular homes in Montreal’s most upscale neighborhood. At the end of the tour, drop off is provided at all downtown/Old Montreal hotels and residences.